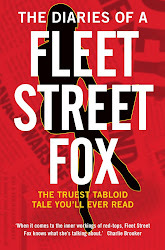 fleet street fox: General Election: What's the point in voting? The answer to this question is the topic of today's column for the Daily Mirror, which you can read here. Remember to vote early, and vote often.